Meeting food demand depends for a large part on the ability of farmers to produce adequate quantities of the food products of the right quality. To achieve such an objective, farmers depend on their business partners. To feed an increasing world population, helping farmers succeed is not an option; it is a necessity. There is no argument against producing better. A market-driven and more efficient production reduces the amount of waste, and it increases the amount of food available for consumers. It reduces the impact on the environment and it actually reduces the cost of production. However, it is important to realize that actions to produce better often are investments, as the effect is not always immediate. From a value chain point of view, efficient production starts with high-quality ingredients. If the world wants farmers to produce higher volumes, they must have access to good genetics. Seeds that have the potential to deliver high yields, or farm animals that can produce and grow fast, while using feed and water efficiently, are an absolute necessity. Genetics and agriculture must also take genetic diversity and sustainability into account, but with poor genetics, farmers will not be able to meet food demand, and they will not be financially viable for the long-term. Vision and proper strategy are the elements to deal with this dilemma. Farming inputs, such fertilizers, pesticides, herbicides and animal feed, must help plants, and farm animals, to express as much of their genetic potential as possible. Suppliers can play a very important role in helping farmers use the proper products in the right amounts, in the right place, and at the right time. The same principle applies for food processors and distributors. It is their role to help farmers deliver what the market needs when it needs it. They must encourage this by rewarding financially the farmers who do things right. This is in the interest of all the parties involved. Farmers make more money with their products. Processors get products that are more efficient to process, thus saving on costs. Distributors gain market share because they offer the right product to their customers, thus increasing customer satisfaction, appeal and loyalty. The advantage of doing things right is that it becomes more difficult for business partners to switch to a competitor. By being the best partner in business, the need for complicated contractual and legal agreements becomes a little less relevant. It is about loyalty and mutual security. To achieve this kind of ideal situation requires a lot of effort, commitment and communication. Market needs must be translated in clear product specifications. The knowledge on how to be able to meet the required standards needs the proper channels to be transferred to farmers. Access to information has become much easier with the development of communication tools such as Internet and cell phones. Smart phones are helping further, and now farmers, anywhere in the world, have much faster access to market and technical information than by the past. This helps them make faster and better decisions. However, better technologies and better communication tools are not enough. Extension services are crucial. 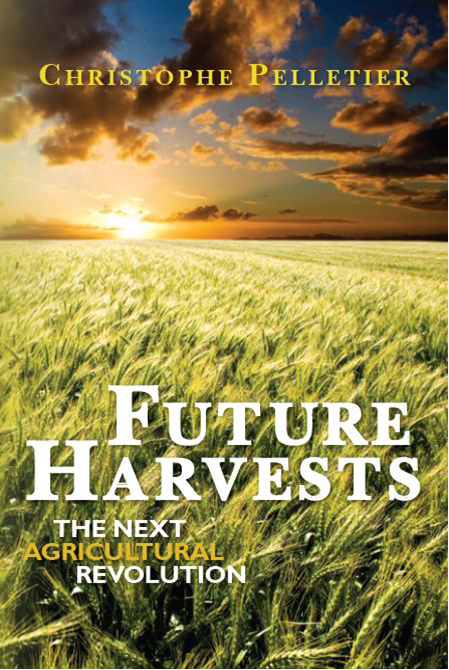 In my book, Future Harvests, several examples show how positive this is for food production. One is the policy of the Ugandan government that resulted in a boom in rice production, making the country a net exporter of rice. The second example is about the extension services of a food corporation, McCain Foods, in India, that helped farmers produce a better quality of potatoes, meeting market requirements, and earning substantially more this way. Another illustration of the positive effect of knowledge transfer is about the farming leader in Burkina Faso who helped increase food production with simple techniques, and stopped the exodus of population. Proper education and on-going training is part of the food production of the future. The human factor in knowledge transfer is as important as ever. Only people can know what the specific situation of a farmer is. Knowing the farmer is the best way to help them set up plans and strategies to improve their technical and financial performance. A farmer being independent business owners, their main concern is to generate enough revenue to stay in business, and to offer a decent standard of living and a secure future for their families. Helping them in these objectives is the way to get their attention and loyalty. Extension services need to offer the most effective solutions by taking into account the level of skills of the farmers, as well as their financial situation. Some farmers can afford and use high-tech solutions easily. Others may have money, but lack the skills to use certain techniques or technologies. Others may be technically savvy, but may lack the money. Extension service people are the ones who can help farmers make the best choices. They also must assist farmers to get the proper financing if this is the limiting factor, for as long as the money would used to deliver the proper return. As Cicero stated, “The sinews of war are… endless money”. This tends to be overlooked by many who talk about increasing food production. If farmers do not have access to enough money to be able to produce the food the world needs, they simply will not. Developing agriculture requires serious investments, either from individuals or from governments. Asian and Arab countries know this and this is why they spent massive amounts of money in African and Asian countries, and even in Brazil and Argentina. If farmers cannot buy the basics to produce efficiently, they will have poor harvests. If farmers cannot be profitable, they will stop farming. This is important to realize that being a farmer must be attractive financially, too, if we want to motivate the next generation to be in agriculture. Money is important, but just for food production, more is not necessarily better. To get good results, we must ensure to have the right amount of money at the right time at the right place for the right purpose. The money must be aimed at producing for the market. Financing agriculture is about meeting food demand, not to produce blindly. Just like there is a need for efficient market-driven precision agriculture, the future of agriculture financing must evolve to efficient food-market-driven precision financing.